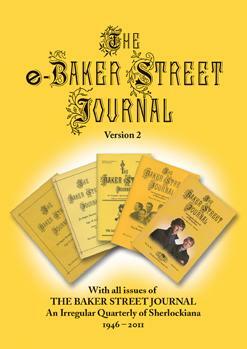 From The Baker Street Journal, Vol. 64, No. 1 (Spring 2014), pp. 51 – 59. Sherlockians gather in New York every year to celebrate the birth of the world’s greatest detective. The BSJ reports on many of the events, including the BSI Dinner. Matt Laffey wrote about the 2014 Birthday Weekend in the Spring 2014 BSJ. His full article, with photos, is in the PDF below this excerpt.
. . . In the interest of full disclosure, the 2014 BSI Dinner, held in the palatial yet tastefully adorned, academic-chic Yale Club in midtown Manhattan, is the very first time I attended what can best be described as Christopher Morley’s finest and most enduring legacy. I can’t promise prose free of hyperbole and starry-eyed exaltation; on the other hand, I can promise to refrain from using insipid sports metaphors (e.g., “the Super Bowl of scions”). But how does one articulate what it means to receive an invitation to participate in something lovingly steeped in Sherlockian legend and lore, built on a foundation of principles that are just as relevant in 2014 as they were in 1938? 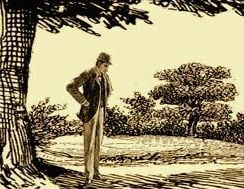 (Principles held by Morley, Smith, Wolff, and contemporaries that have a greater association with “apotheosis” rather than “walked the earth.”) Receiving an invitation and attending the Dinner links me to an unbroken chain of venerable traditions—a continuum whose strength is derived, not from the rigidity of unchanging dogma, but from an elegant flexibility that allowed it to co-exist with the times while continuing to maintain its essential shape. The ultimate gauge of its success is the mere fact (and the incredible reality) that the BSI Dinner still exists. . . .